I have always read books since the age of four years old and I have read a variety of books from all types of genres, from fantasy novels such as J.R.R.Tolkien to horror novels such as Darren Shan novels. The reason for this is because it offers me that sense of escapism from everyday life and also helps me cope with stress or if I’m unhappy. One of my most favourite novels is the saga by George. R. R. Martin which has become a huge TV series called Game of Thrones. The first book that I have read for the Reading Ahead challenge was The Hobbit by J. R. R. Tolkien. I thought it was the most imaginative story that I have ever read. I also could not put the book down and I would definitely read the book again. The second book that I read for the challenge was Harry Potter and the Deathly Hallows by J. K. Rowling. It is a perfect book for anyone who loves fictional, creative and imaginative books. And I have always loved the lyrical works of J. K. Rowling. The third book that I have read for the challenge was the Lord of the Rings: The Two Towers by J. R. R. Tolkien. It has the best use of literacy and language I have read in a long time and the use of imagery that the author has written is very impressive and makes his books unique. 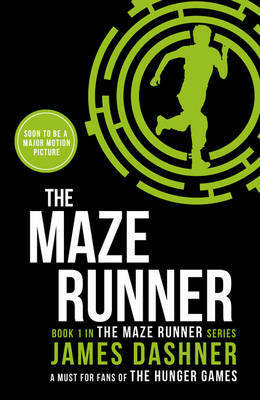 The fourth book that I have read for the challenge was The Maze Runner by James Dashner. It reminds me of The Hunger Games which are another one of my favourite book series. I feel that it is just as good as those books, and I could not attempt to put the book down. The fifth book that I have read for the challenge was The Scorch Trials by James Dashner. It made me feel that I was actually there in the Scorch with the characters in the book. I would definitely recommend that people should read this book. The last book that I have read for the challenge was The Death Cure by James Dashner. It is a very well written, and an excellent use of imagery throughout the book. However, the book got a little bit confusing near the end of the story. Overall I really enjoyed the Reading Ahead challenge from beginning to end. The challenge has restarted my interest and love in reading books and I would definitely recommend everyone and anyone to try the challenge.